Portland-based artist Anna Hepler creates sophisticated prints, drawings, and elaborate three-dimensional spatial constructs using simple materials. Over the past ten years her artistic obsession with patterns found in nature has taken on impressive proportions. 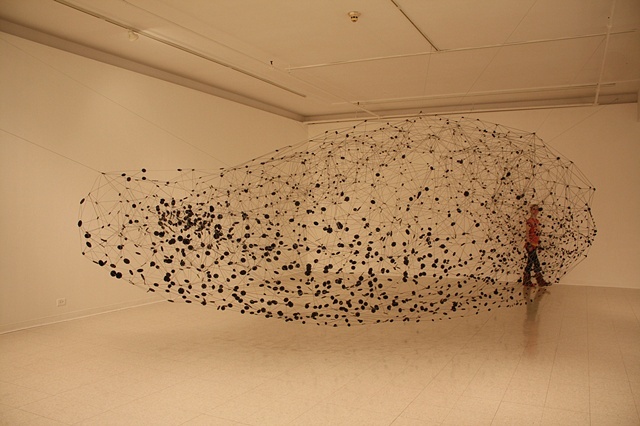 She works in a variety of media around the central concept of the movement of particles suspended in space. Says Hepler, “perhaps these moments fascinate me because they reflect a psychological state of release that is captivating and challenging.” She aims to capture the dynamic essence of the forms expanding, condensing and dispersing.